❤We aim to provide high quality and fashionable design product to let anyone can enjoy life. 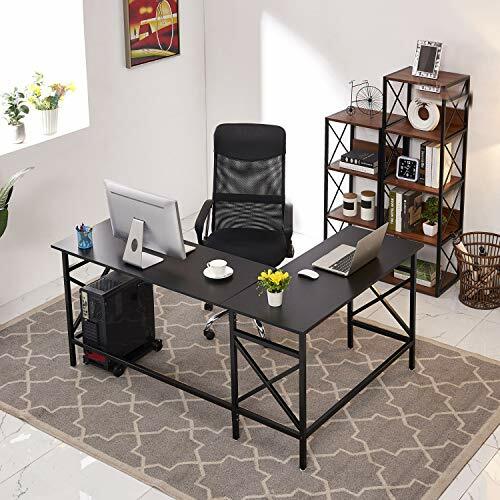 ❤The laptop desk is a simple design with plenty of writing space, perfect for computer work and other home office activities. 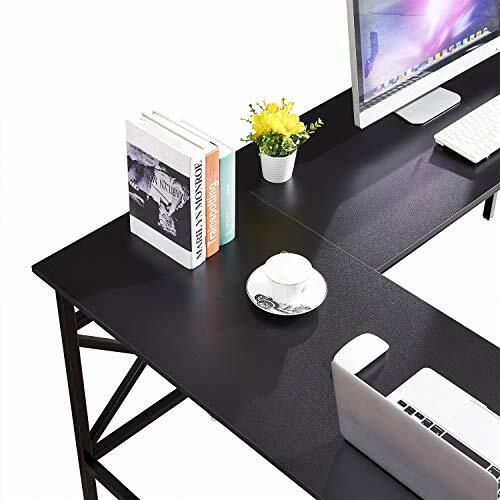 Maximizes work space while still fitting into small areas. includes two rectangular desktops,does not wobble in the slightest. 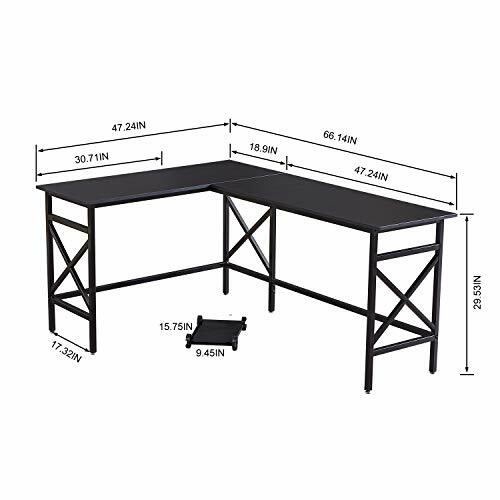 ❤Come with installation instructions that are so easy to follow and could put them together quickly. 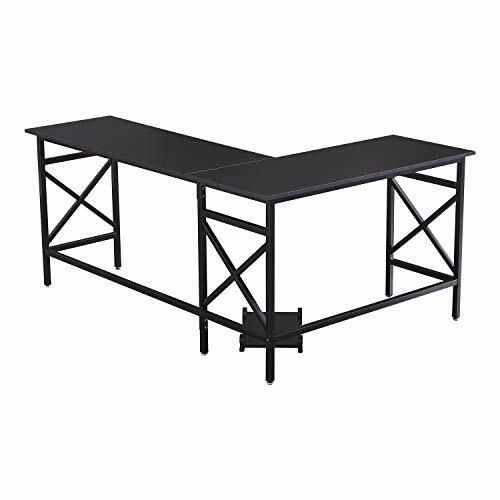 we provide the same return service as Amazon, please feel free to contact us if you have any questions.Stylish design→This desk supports your home office in a fashionable and practical way. 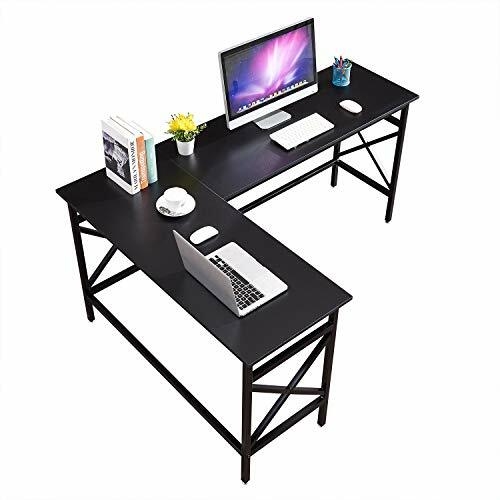 Made of industrial surface treatment with metal frame and advanced MDF, using the classic L-shaped contour will effortlessly update your space and come with free CPU stand.Adjustable leg pads can protect the floor from scratch.Color:Black. Clean and Assemble→Resistant to stains, heat and scratches to maintain a clean look.Easy to assemble.All parts and tools are provided. 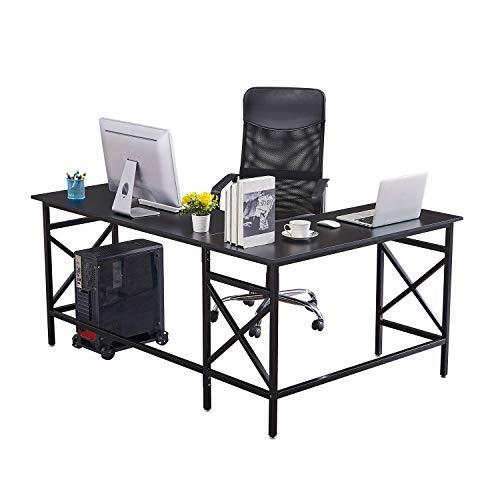 Leg Room→Spacious leg room with Horizontal bar,you can stretch your legs freely and comfortably after long hours of work.Suitable for necessary household office supplies. 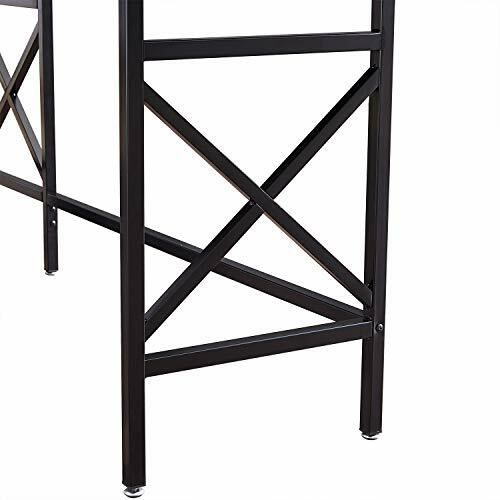 Save Space→Sturdy frame designed with thick and wide steel X-shape frame to ensure excellent stability on the desktop, supports multiple displays and weighs more than 50 lbs.Desk features a large top surface for printers, computers, school books, office files, or display items such as picture frames, all offering you an abundant work space.